Welcome to Mister Electric where professionalism and expertise come together to serve all of your electrical needs. Whether you need an electrician to update your home, help you complete an addition, or repair a faulty circuit, we’re here to provide prompt, reliable service that leaves you satisfied each and every time. Electricians from our company are ready to provide you with the electric services that you need promptly and at affordable prices. At Mister Electric, our expertise is in everything electric, and our team of experts is ready to provide you with the quality workmanship that you can always count on. If you need electricians to update your home’s electric system or you are ready to make a new addition, we can get the job done. 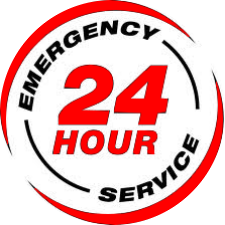 At Mister Electric, we will be there in a timely manner, or the job is on us. It is just that simple. We understand that your time is valuable, and when you schedule an appointment with us, we will never keep you waiting. Our professionals are courteous, skilled and trustworthy, so you can always feel comfortable with them in your home. We also always provide our customers with straightforward pricing. The quote that we provide for you initially is the price that you will pay when the job is finished. Beforehand, we will sit down with you and discuss all of your options and guide you through the process. In Temple Hills, electrical contractors from Mister Electric will provide you with the results that you want for your home. Call us today for more information!